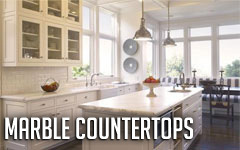 Marble countertops instantly bring rich style and elegance to your bathroom. 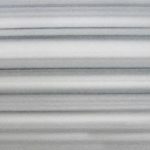 People typically think of marble countertops as being mainly dark in color and pattern. 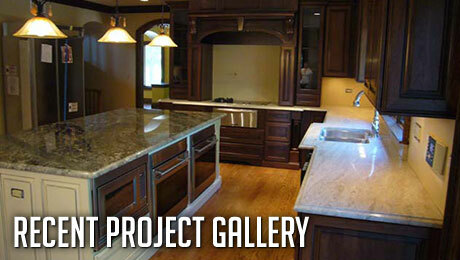 Popular colors include gray or brown, and they complement dark woodwork or modern bathrooms. 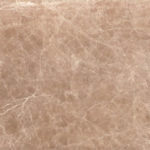 However, marble is available in light shades like white, pink and gray that will fit right in with your white kitchen. 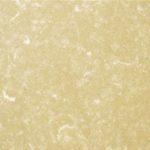 Marble even comes in yellow and orange.  Marble countertops are smooth and a pleasure to work on due to their beauty and silky feel. 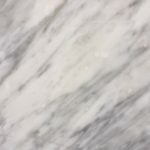 Marble is more durable than vinyl countertops that can weather and wood that is attractive but easily prone to being nicked by knives or dented by heavy-duty cookware. 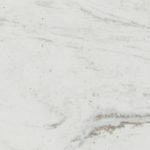 Marble countertop can be sealed to help prevent stains. You don’t need a cutting board with a marble countertop because it’s strong and because it isn’t porous like wood. 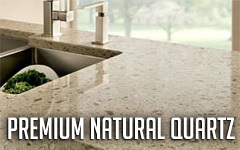 Marble is naturally non-porous and resistant to bacteria, making it a great surface for food preparation and baking. 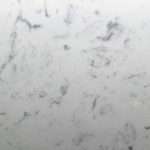 Marble cleans up easily with soap and water. 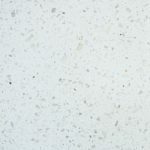 Marble always has that freshly cleaned look and reflects a soft sheen of light. A kitchen island topped with marble and matching barstools allows you to entertain with style and class. 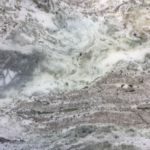 Marble, whether used in a restored farmhouse kitchen, a classic kitchen or a modern kitchen, conveys an impression of luxury and elegance. A marble kitchen island used for eating needs nothing more to dress it up than a few candles to add reflected light. Marble goes with light wood, dark wood, tile and even checkerboard floors. 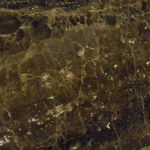 Orange marble is an interesting choice because it perfectly complements cabinets and floors in warm shades of wood.